Most commercially available air fresheners contain butylphenyl methylpropional, methyl pyrrolidone, propylene glycol, acetaldehyde, 1,3-Dichloro-2-propanol, and various other chemicals that are toxic to the immune system and linked to allergies, headaches, eye irritations, developmental and reproductive issues, etc. Thus, the fact that you can include natural ingredients and avoid harmful chemicals while making your own room fresheners at home makes this idea more appealing. You can prepare a number of homemade air fresheners in the form of sprays, gels, candles, plug-ins, and so on. Here’s a video showing how to make an eco-friendly holiday air freshener at home using cinnamon and cloves. More often than not, the recipes include essential oils that are not only aromatic but also soothing for the mind and body. Thus, they help alleviate stress, fatigue, depression, etc. naturally. Lemon oil, for instance, acts as a natural antidepressant. Similarly, rosemary improves memory, lavender calms the nervous system, and orange makes you feel refreshed and relaxed. There is an extremely simple and easy recipe for homemade room air freshener at The Burlap Bag. 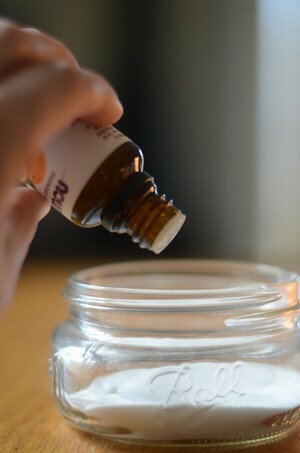 It is prepared by combining baking soda and a few drops of an essential oil of your choice. When covering the jar, you can either poke some holes on the lid, or simply poke some holes on a foil and wrap the rim with it. In case you want a more creative option, consider cutting out the top the lid and replacing it with some decorated paper with punched holes. Besides, you can use a piece of fabric and tie it around the rim with the help of a ribbon. 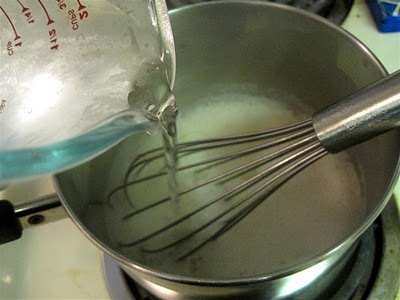 You can find a wonderful recipe for homemade gel air freshener at Delightful Country Cookin’. The ingredients include unflavored gelatin, cold water, essential oil, salt, and a few drops of food coloring. To make your gel air freshener even more attractive, you may add beautiful marbles, shells, polished stones, colorful glass bits, and other similar small decorative items in the jars. Make sure your embellishments are water-proof! Furthermore, you can layer different colors of gels in clear jars. At One Good Thing By Jillee, you shall find two air freshener recipes. The first is a liquid potpourri recipe that needs to be mixed with gelatin and salt. The second one is a sort of scented water prepared by using a combination of distilled water and essential oils instead of the liquid potpourri. 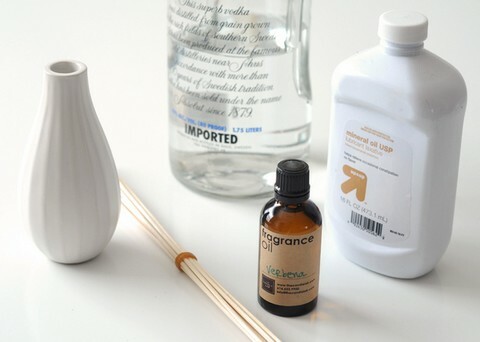 You can follow the instructions provided on www.curbly.com to make an inexpensive DIY reed diffuser. Basically, to prepare your own diffuser oil, you need to mix vodka, mineral oil, essential oil, and put the diffuser reeds in the bottle for long-lasting fragrance. Those of you who are interested in plug-in air fresheners can follow the procedure given at holycrickey.tumblr.com. This DIY Wallflowers Scented Plugin can be filled with your favorite aromatherapy oil such as Roman chamomile, cinnamon, clary sage, rose, lemon, lavender, etc. 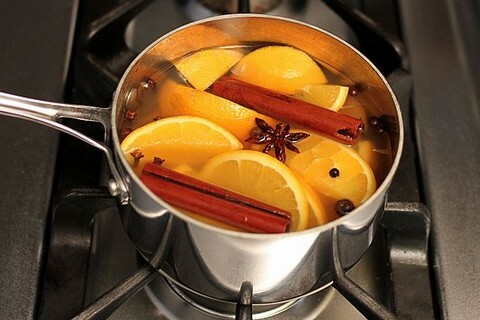 This is an amazing article from The Yummy Life explaining how to make room scents with natural ingredients. It suggests making use of citrus fruits, herbs, ground or whole spices, pine or cedar twigs, and extracts such as vanilla or almond extract. You can find five natural room scent recipes and an elaborate description of different methods for heating the scented mixtures on this site. 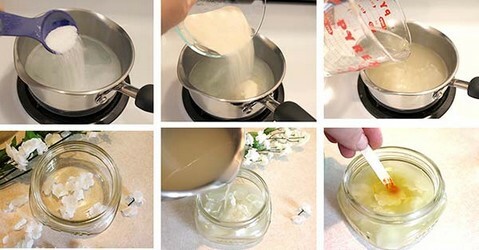 At www.make-it-do.com, there is another similar recipe for homemade air freshener. 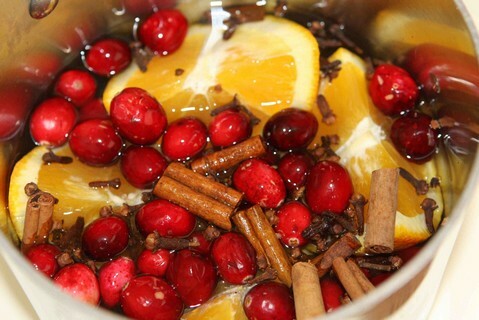 This stove top potpourri mix requires ingredients like whole orange/orange peels, cranberries, cinnamon, and whole cloves. You may add grated nutmeg, too. So, you can easily prepare different types of homemade air fresheners or try simmering pot recipes with herbs, spices, and citrus peels. Apart from making your home smell warm, they also help humidify your home.